Attracting Medicare A and third-party payer residents has never been more challenging. Pressure on facilities to exceed acute care AND payers’ outcome expectations (while reducing length of stay) is creating turmoil. Methods that once worked are less than effective in the current post-acute care marketplace. Far beyond marketing team outreach and optimum inquiry handling, success is driven by facility leadership—with the right message to the right people. Evaluate downstream providers to assure their optimum facility marketplace reputation. As an additional resource, Dr. Jeffrey Ash, Ed.D, Associate Dean, Diversity and Inclusion, Assistant Professor, University of Marylands’, School of Nursing, will address staff and resident response to changing resident diversity. As we introduce new acuity groups into the “dominant” culture(s) the dynamics of relationships change instantly, and challenge or go against the thoughts and beliefs of how we have socialized. This session will explore how we move beyond our fear, insecurity, ignorance, and confusion to a place where we understand the positive benefits to diversity and inclusion, its economic impact and the greater social capital and awareness shared by residents, staff and management. 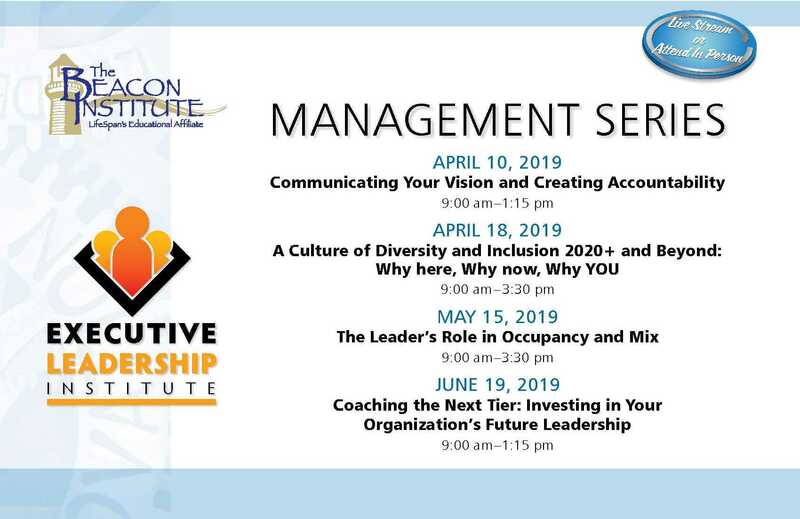 After this session leaders will be able to better understand and assess themselves and the cultural component of their organization moving forward to do it. This session will deeply explore the juxtaposition of assimilation and survival versus both residents and staff thriving. Address staff discomfort and resistance (and perceived dissatisfaction from many avenues) to admission of residents whose demographic, clinical or Psycho-social needs may provide additional challenges as part of market expansions.